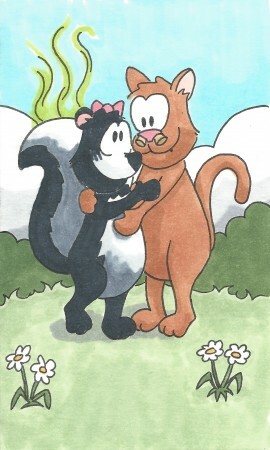 To a skunk, the whole world smells like daisies. and I can hardly stand to watch her eat. Her shoes are old. She doesn’t dress so well. She’s terrible at math. She cannot spell. She runs too slow and loses every race. She has a giant wart upon her face. but my best friend is nice, and that’s enough.